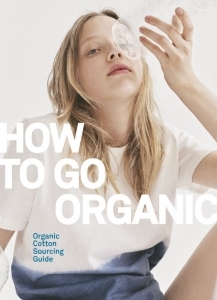 The Partnership for Sustainable Textiles provides practical answers to the question of how companies can procure organic cotton: The newly published Organic Cotton Sourcing Guide “How to go organic” is available now. The Partnership aims at using overall at least 10 % organic cotton by 2020. This is significantly more than the market share of organic cotton globally, estimated to be around 0,5 percent. Therefore, the research and sourcing of organic cotton is a challenge. In cooperation with Helvetas, Organic Cotton Accelerator and C&A Foundation the Textiles Partnership now releases the Organic Cotton Sourcing Guide to support brands in achieving this goal. It provides six steps of how to go organic for brands starting to use organic cotton or those wanting to increase their share of organic cotton. Within the framework of Mutual Support, eleven brands share their experiences with sourcing organic cotton, the advantages it has and how they increase their volume of organic cotton. Read their opinion in the statements (German only).